I always assumed that once I grew up, I’d be organized. In high school (as I used my full body weight to shove my locker closed), in college (as I searched through a sea of paper on my dorm-room desk), and in my first apartment (as I stepped over piles of clothes) . . . it truly never occurred to me that my future home would not be perfectly organized. I loved reading books and magazines about organizing. I could spend hours browsing through aisles of hooks and baskets and dreaming of the day when I’d get my abundance of stuff in order. Once I turned 35, I had to accept that I was already a grown up. But when I looked around my home, it looked nothing like I had assumed it would. It was a disaster. It seemed that every organization technique I’d tried . . . had failed. I had piles of empty baskets and closets bursting with containers full of containers. And all the stuff that was supposed to be organized because I owned these wonderful tools? It was piled high on counters, shoved into corners, and honestly . . . covering my bedroom floor. 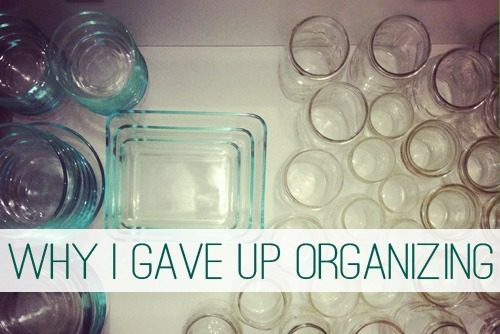 I finally gave up on getting organized, and it was the best thing I ever did for my home. Instead of organizing, I started decluttering. I stopped worrying about solving problems and establishing systems, and I just purged. Finally, I began to see improvement in my home. I had dreamed of a neat and tidy kitchen. I got one, but not by organizing. Instead, I pulled out the five extra skillets that I didn’t really need and accepted that I never used more than three baking sheets in one day. Once my kitchen cabinets only held the pots and pans I really did use, they had room to house the cookbooks and the food processor and the slow cookers that once cluttered my counters. My kitchen felt comparatively organized, and our family’s life was greatly improved. Dinner-prep was easier because I had counter space. I could get to my favorite skillet without causing an avalanche. To some people (the ones who don’t struggle with organizing), what I did sounds suspiciously like organizing. Decluttering is a part of organizing, but I needed to separate these two tasks. As long as “Get Organized!” was my goal, I felt overwhelmed. I had failed so many times that I no longer trusted myself to come up with sustainable, long-term systems that would work in our home. Deciding I would just declutter meant I didn’t need to solve problems. I didn’t need to stress over how I was going to maintain whatever area I was tackling. I focused my mental energy on making decisions about individual items and on removing the excess from our home. Decluttering is hard enough. It’s gut-wrenching, heart-breaking, physically exhausting work. But it’s worth it. After three years of living a lifestyle of decluttering, our home has changed, and I have changed. Our home is no longer a disaster, even though all I did was declutter. Editor’s Note: Get a copy of Drowning in Clutter? for only $4 through 2/7 with coupon code YOURWAY. Which comes easier to you: organizing or decluttering? Dana White writes daily as Nony (short for aNONYmous) at A Slob Comes Clean where she shares her personal deslobification process. 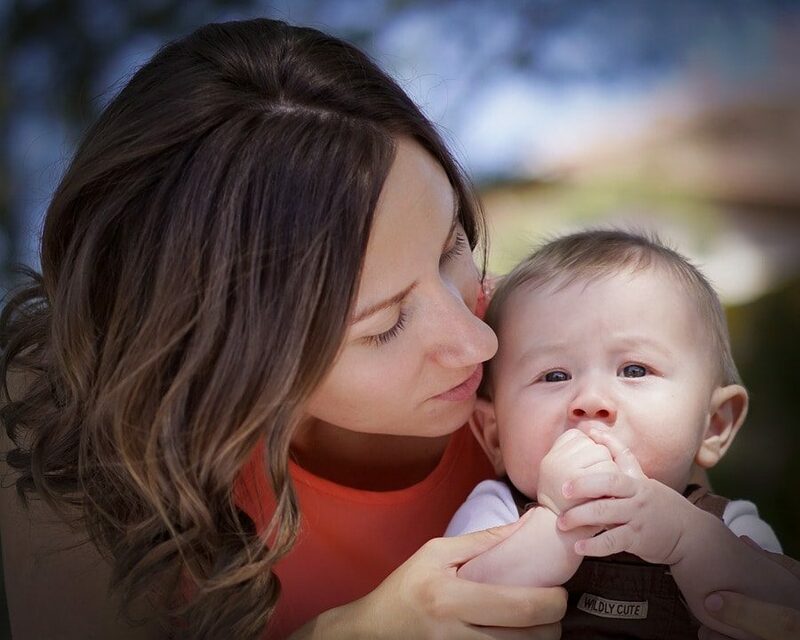 In her most recent e-book, Drowning in Clutter? (Don’t Grab a Floatie . . . Drain the Ocean!) she shares her proven decluttering strategies (based on way too much personal experience) that can help anyone declutter. Previous PostDoes Your Home Have "White Space"?